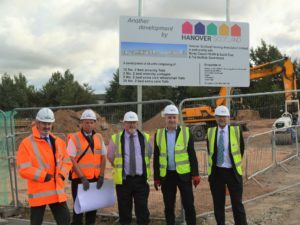 Richard Lochhead MSP visited Hanover Scotland’s new 44 home site at Spynie, which is being developed in partnership with Health & Social Care Moray (the new Integrated Joint Board involving Moray Council and NHS Grampian) and the Scottish Government, and will be built by Robertson. The new development, which will be known as Hamilton Gardens, is expected to open in autumn 2019. It will consist of 44 two-bedroom homes, ranging fr om amenity flats and cottages to extra care flats with five specially designed to accommodate wheelchair users. It will also have a common room for residents to socialise in, a kitchen and two offices. 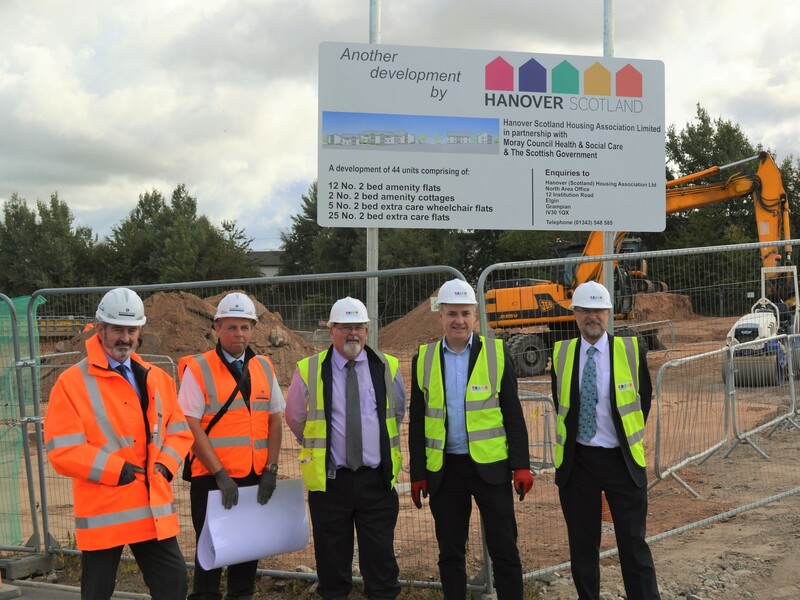 During his visit, Mr. Lochhead met with senior managers from both Hanover Scotland and Robertson and was given a tour of the site, hearing of the special design features that will be present in the development.